5 Tips to Fulfilling Your Warehousing Needs | Samuel Shapiro & Company, Inc. When I walk into a really sophisticated warehouse, the look on my face is probably akin to that of a kid in a candy store. Seeing a high-functioning fulfillment center with box-building machines, automated sorters, and any number of other robotic components is enough to make me salivate. That’s not to say that I don’t have a similarly warm response to a traditional cross-dock operation, running dozens of doors simultaneously with rows and rows of pallets, cartons, and super sacks galore or even a super small, but high-touch operation. My point? I love this stuff, but as a purchaser of these services, I know my weakness. Shopping for a third-party warehouse can be like shopping for a new car. You’re going to see a lot of available features while searching the market. It can be tempting to want all the bells and whistles because you assume that makes a provider the best. But this is not the case. It’s important to know yourself, your business, your product, and your goals prior to going shopping. 1. Evaluate your service needs, both now and in your short- and medium-term plans. Look for the features you know you need now and ones that you seriously believe you will need in the future. This is not to say you should go with a warehouse that only offers basic storage service if you hope to expand your model into fulfillment. But you probably don’t need a facility that will process returns if you aren’t planning for that kind of expansion in your medium-term business plan. Storage – Holding on to your product for a period of time; there are different types of storage based on commodity, so have this discussion with your prospective providers. Cross-dock or transload – Pulling cargo from a container and moving it into another truck. Palletizing – Putting loose cargo onto pallets for simpler handling and storage. Sorting/segregating – Organizing cargo by set groupings (likely PO or SKU). Labeling – Ensuring that the cargo (cartons/packaging) is marked properly. Pick and pack – Receiving orders with specific instructions, pulling the accompanying units, and repacking for outbound shipment. Outbound shipping – Shipping your order to you or your customer. Kitting – Combining items based on a set of instructions. Repacking – Sometimes cargo arrives in packaging that, for one reason or another, isn’t suitable for delivery. Warehouses offering this service will receive your items along with replacement packaging and will repackage it accordingly. Ticketing – Picking different items and applying a ticket (possibly that of a retailer) to the item based on a set of instructions. 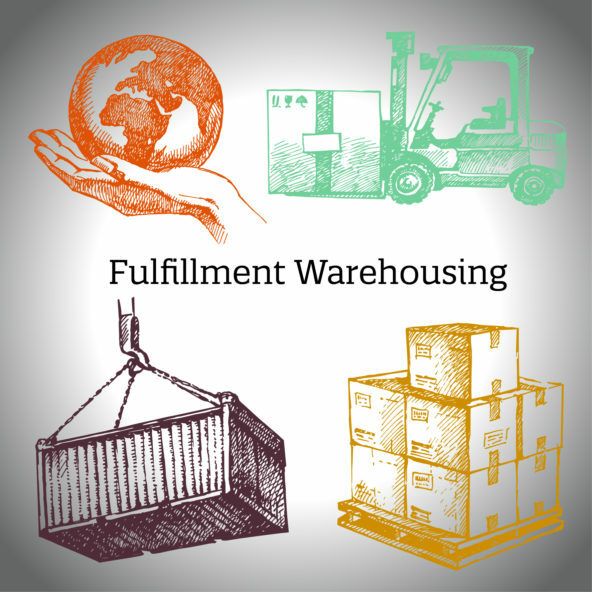 Order fulfillment – Receiving orders from a customer and fulfilling it accordingly. This could be B2B or B2C. Returns management – Receiving and properly handling returned product on your behalf. 2. Identify your technology expectations. Start by knowing how you want to communicate instructions to your warehouse. Do you simply need regular inventory updates by SKU for example? Or do you need them to receive orders directly from your website (and others) for processing? Talk to each prospect not only about their WMS (warehouse management system), their flexibility and plans for it, but also about existing integrations and implementation strategy. If you already have an online presence, or a clear plan for one, you may seek out a provider already working with your shopping cart software. Additionally, if you also work with specific marketplaces, having a warehouse that is already integrated could definitely cut down on your implementation and testing time. Go in with an understanding of what services you need and how these will affect your own price and margin strategy. Sometimes it may be worth paying to have services performed at the warehouse on your behalf. Other times it may make sense to have it done by your supplier, or even at your own facility. 4. Consider location (or locations). Depending on your customer base, you may need product in more than one location. While you may be able to fulfill your orders from one facility, cost and time may dictate that two, three, or several more facilities would be in your best interest. Will you be able to fulfill last-mile delivery expectations to YOUR customer? Evaluate your supply chain to determine the optimal location for housing your inventory. 5. Wear comfortable shoes, and take a tour! Nothing compares to walking through the facility to see how the employees work, interact, and process orders. Ask questions along the way about the inbound, storage, fulfillment, and outbound processes. Let the warehouse manager show you how orders are communicated to the staff, what the picking practice is like, and how that affects your orders. This team of individuals will play a large role in your overall success. It’s best to kick off the relationship with a face-to-face discussion. What type of racking and storage is available for [insert your commodity here]? What are your operating hours? Is there any limited capability during holidays? What is the current vacancy level? What is the average vacancy level? What WMS/IT platforms are you able to integrate with? How long does this integration take? What marketplaces/shopping carts are you integrated with? Do you provide any value-added services? Do you have Radio-Frequency Identification (RFID) capability? What is your courier policy? Are there any commodities not able to be serviced at this location? In the end, the provider(s) you select can play a large role in your overall success. These tips will help you get your relationship started on the right foot.